The Garden of Aquatic Plants occupies an area of 18 mu and situates nearby the Garden of Palms. This garden successfully transplanted the largest water plant from South America, Victoria amazonica (Popp.) Sowerby,Nymphaea tetragona Georgi, which has its origin in India; and all sorts of lotus. 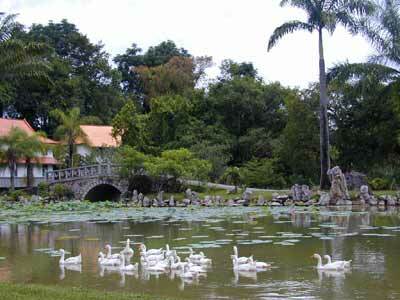 Within the garden, the workers also breed carps, gold fishes and other ornamental fishes.